Is China today in the same strategic position as pre-First World War Germany? If China’s current economic rise and expanding naval power makes it the modern counterpart to Wilhelmine Germany, does the U.S. face a similar set of strategic choices as turn-of-the-century Great Britain? The British response to Germany’s new fleet was to redouble its efforts to build a more powerful Royal Navy, and critics who believe that the current size of the U.S. Navy is too small contend that the U.S. needs to respond in a similarly aggressive manner. For two recent examples of this line of thinking see here and here, and a counter-argument that contends a naval arms race with China is just not worth it here. Here is another piece arguing that the true historical counterpart to China was the US. Does this analogy provide useful insights into what should drive current U.S. maritime strategy or acquisition efforts? 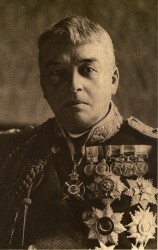 Sir John Fisher (commonly referred to as “Jackie”) removed 154 ships (primarily small cruisers and gunboats) from the “effective list” after becoming First Sea Lord (the senior Royal navy officer) in 1904, as well as eliminating or combining several of the overseas “stations” into a fewer number of fleets. He also changed the orientation of the forces afloat, with the newest and most capable platforms primarily deployed to the new commands in the Channel and Atlantic. This reduction and reorientation in deployed afloat forces was enabled by a significant geopolitical shift. Rather than being the sole guarantor of global maritime security, Britain essentially outsourced those obligations through agreements with states such as Japan (with which a naval alliance allowed British withdrawal from the Far East), France (the Entente shifting responsibility for the Mediterranean largely to the French Navy), and a realization that combating the growing U.S. Navy in the Western Hemisphere was both impossible and undesirable. This approach towards outsourcing maritime security to other allied or aligned powers was could be considered similar to that of a “thousand-ship Navy” in its recognition of the limitations that a single state has in imposing its naval power everywhere at all times. What lessons can the U.S. today learn from how the Royal Navy was reshaped a century ago? Britain’s strategic calculus was much simpler vis-à-vis Germany than the US and its current relationship with China. The only reason for the German naval program was to fight or deter the Royal Navy, and in such a conflict it “would need a fleet able to overpower the biggest contingent the Royal Navy was likely to station in home waters.” The German fleet Admiral Tirpitz built was designed to engage in a symmetrical conflict with its British counterpart. In contrast, China’s naval expansion is quite different. Instead of building carrier battle groups, The People’s Liberation Army Navy (PLAN) is emphasizing anti-access/area denial (A2/AD) capabilities to keep other powers out of adjacent waters like the South China Sea, East China Sea, and Yellow Sea. Chinese naval strategy seems to revolve around A2/AD as a means to keep the US away, as “their goal is to deter US forces from intervening in regional disputes.” The choice faced by Jackie Fisher and Winston Churchill as to how to respond to the Germans was simple, assemble a battle force that could win in the North Sea. Faced with an uncertain world, the 2007 Maritime Strategy similarly (and understandably) hedges when discussing what types of missions that the Navy should be able to accomplish. Its six “Core Capabilities” reflect both high-end war at sea (Forward Presence, Deterrence, Sea Control, Power Projection) as well as more prosaic tasks (Maritime Security, Humanitarian Assistance and Disaster Response). In a world in which war at sea with a near-peer competitor is not necessarily likely, but in which non-state actors such as terrorists, pirates, and illicit smugglers either exploit or are the main threat to freedom of the seas, the notion of ignoring these missions in order to maintain an overwhelming battle force may not be as wise in a constrained fiscal environment as the presence provided through “Influence Squadrons.” Those advocating for a more maritime security-oriented force are calling for the opposite of Fisher’s reforms, instead bringing back the gunboats and coastal security force at the expense of the battle fleet. One clear lesson from the Anglo-German naval arms race is that the answer is not to just buy more ships. The Royal Navy certainly engaged in a naval modernization program and expansion of the battle force, but complemented that effort with a shift in strategy, focusing the combat mission of the fleet on a single task, and eliminating the Royal Navy’s global responsibilities. U.S. responses to the challenge of a rising China should be echoed by similar adjustments in strategy and force employment that address current (and likely future) maritime security needs rather than having an arbitrary number of surface platforms. Jackie Fisher slashed the quantity of ships in the Royal Navy because they did nothing towards accomplishing the mission, the priority for the US now should be to set its maritime priorities, and then ensure that the force structure can accomplish those missions. 1. George Dangerfield, The Strange Death of Liberal England: 1910-1914 (New York: Capricorn Books, 1935), 19. 2. Paul M. Kennedy, The Rise and Fall of British Naval Mastery (Amherst: Humanity Books, 2006), 214-226. 3. Toshi Yoshihara and James R. Holmes, Red Star Over the Pacific: China’s Rise and the Challenge to U.S. Maritime Strategy (Annapolis: Naval Institute Press, 2010), 48. This is the second installment in a series on preventing an armed conflict between the U.S. and China. Click here to read the first installment. That prosperity and security rest on the Pacific living up to its name is true not only for the U.S. but also for China. Many believe this simple fact will be enough to prevent conflict. Among others, in his book The World is Flat, Thomas Friedman’s “Dell Theory” argues that no two countries both part of a major global supply chain like Dell’s will ever fight a war against each other, as long as they are both part of the same global supply chain. However, hope that a rational fear of Mutual Economic Obliteration – Worldwide, or MEOW, is not enough. It does not absolve us of our duty to find other means of prevention. Rational calculations may factor little in the run-up to a conflict, at least those calculations about the good of the state rather than the good of the party or individual. This is especially true in China, where the military’s allegiance lies with the party and not the nation. As I mentioned in my first post, additional means of prevention fall generally into one of two distinct, but related categories: actions to sow respect, and those taken to create familiarity. When Secretary Panetta says, “We must be vigilant. We must be strong,” he’s talking about those actions that sow respect. Maintaining a strong naval presence (60% of U.S. Navy surface ships by 2020), strong naval capabilities, and a dedication to naval professionalism. The seminal 2007 work, A Cooperative Strategy for 21stCentury Seapower (CS21), (which the CNO recently announced will soon undergo a revision process) discusses deterrence in similar terms, talking of combat power to “deter and dissuade potential adversaries and peer competitors.” Some of this reasoning relies on a rational actor China that might not always hold true. However, even when the prospect of delayed pain, such as a later economic calamity, does not induce one to seek peaceful solutions, one might be so induced by the prospect of a more immediate pain in the form of destruction at sea. Regional partnerships and alliances, with clear responsibilities and demonstrated support bolster respect for America’s potential military response. Credible combat power, on the scene or close at hand, can therefore help deter instances of spontaneous tactical aggression and calculated strategic aggression. Yet, pursued by itself, such an approach could have negative side-effects. To forestall unilateral military action by the U.S.’ own emboldened partners, they must know that the U.S. will not back them, right or wrong, but only when they are in the right. More importantly, an array of regional allies and combat power lurking nearby can be viewed as a threatening encirclement, or as China now claims, a new attempt at “containment.” It is thus important to pair the attempts at sowing respect with a simultaneous drive to enhance familiarity. The second aspect of Secretary Panetta’s address, aimed at enhancing familiarity, called for strengthening defense ties and security cooperation with China. A frequent refrain from some schools of foreign policy experts has been that bringing China into international institutions will help “bind” it to international norms, by giving it incentives to play “by the rules” and a chance to shape those rules. This has largely worked in the trade realm with China’s entry into the World Trade Organization in 2000, although with the hiccups expected from initiating such a large new player. In the security and defense fields, little progress has been made in bringing China into an active partnership beyond the standard “comprehensive” international treaties on arms and POW regulations. The PLAN’s counter-piracy task forces have offered one of the few chances to work together, if only from a distance. This lack of progress is for a variety of reasons. The U.S. Congress restricted the extent to which the U.S. military can build its formal ties with China’s, mainly limiting agreements and operations to Search and Rescue (SAR) and Humanitarian Assistance / Disaster Response efforts. For China’s part, its leadership has a tendency to hold every exercise and bilateral meeting hostage to the ongoing political issues of arms sales to Taiwan and American meetings with the Dalai Lama. Additionally, those exercises and exchanges that do go forward are often viewed primarily as overt intelligence collection opportunities for the Chinese. For prevention to truly work, the U.S. needs more normalized, integrated defense ties with the Chinese. While I am not the first to call for it, building “habits of cooperation,” is absolutely vital to diffusing those instances when misunderstanding and accidents lead to a stand-off with few face-saving options. In the Cold War the U.S. had red phones with the Russians and generally understood rules for behaving at sea. Today, the U.S. can do much more with the Chinese, who are not looking to export a world ideology. The U.S. and China have many mutual interests that extend beyond economics and piracy to terrorism and North Korea’s instability. The time is ripe for a change in thinking about China’s military threat. While it is important to sow respect through U.S. combat capability, it is just as important to work on what CS21 calls “extended deterrence” – using effective Theater Security Cooperation activities to create security and remove the conditions for conflict. In the Asia-Pacific, removing conditions for conflict means turning China from a potential foe to an ally. More tested than Friedman’s Dell Theory, rare is the instance when allies fight a war. Such a task is of course easier said than done, and many high but not insurmountable hurdles lie in the way. In part 3 of this series I will examine one model for starting the process of strengthening prevention, with current realities and limitations in mind. LT Scott Cheney-Peters is a surface warfare officer and the former editor of Surface Warfare magazine. The opinions and views expressed in this post are his alone and are presented in his personal capacity. They do not necessarily represent the views of U.S. Department of Defense or the U.S. Navy. There are two extremes in public discourse over China and the ambitious naval modernization campaign that the People’s Liberation Army-Navy (PLAN) has undertaken over the last two decades. On one hand, China is often presented as an existential threat whose massive naval build-up in both weapon quantity and quality, coupled with a newly aggressive foreign policy, makes it poised to directly challenge U.S. dominance of the high seas and hegemony in the Western Pacific. 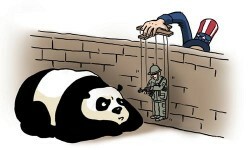 Meanwhile, at the other end of the spectrum, China is portrayed as a rational major player within an interlinked global economic system, for which conflict with the U.S. or other regional powers such as Japan, South Korea, and even Taiwan, would be unthinkable and ruinous. Regardless of which depiction is more representative of reality, in an era of impending defense cutbacks, budget battles of the near future will repeatedly reference Chinese naval modernization as the driving justification to buy, develop, or retain all sorts of weapons and capabilities. What has really been missing from much of the public debate over the Chinese navy is a holistic analytic framework to aid understanding of the potential impact of China’s burgeoning capabilities in a Sino-American conflict. This would be done through a better understanding of Chinese intentions in terms of its doctrine and both foreign and domestic policies. Those policies are not necessarily aligned. Toshi Yoshihara and James Holmes’ Red Star over the Pacific discusses these issues, but their careful review of the evolution of Chinese naval strategy is not mirrored in discussions of China’s in the blogosphere. A focus on Chinese naval weapons system developments (the latest unveiling of a new Chinese ship, plane, missile, etc) can lead to both hysteria and conflicting calls for action. 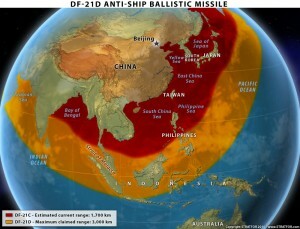 For instance, while the DF-21 Anti-Ship Ballistic Missile could potentially be a game-changing weapon impacting how war at sea will be fought in the future, it has yet to be fielded. However, some critics have already used its development to argue for the elimination of carriers and large surface combatants (because they are now potentially vulnerable), while others see its development as evidence of malign Chinese intent that justifies an American naval revitalization – presumably achieved by building many more large surface combatants. A holistic analytic framework would assess 1) The elements of Chinese efforts comprising what is now commonly referred to as “Anti-Access/Area Denial (A2/AD) capabilities, 2) the “quantity and readiness” of Chinese maritime power, and 3) Chinese strategy and policy. These factors form a three-legged stool of sorts, all of which must be in place for the argument to rest that China has the ability and intent to do harm to U.S. forces at sea, and therefore a U.S. naval expansion designed to counter China is merited (rather than one to ensure the U.S. Navy has the combat capability to meet US foreign policy objectives around the world). • Chinese developments in the cyber domain are often cited as significant threats to U.S. naval operations. These threats range from jamming U.S. satellite and wireless communications networks, disrupting communications and preventing the means for effective Command and Control (C2), to cyber attacks on U.S. information technology, crippling dependent American C2 systems. Is China capable of executing cyber attacks that can cripple U.S. combat operations afloat? • China has made a significant effort to build and buy a variety of the most modern and capable naval and air platforms currently available. These include new submarines, ships, and airplanes. Are these qualitatively superior to their American counterparts? 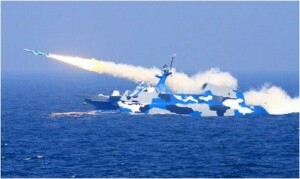 • China is also acquiring a variety of cutting edge high-end anti-ship cruise missiles and the already noted DF-21. Will these make it impossible for an afloat task force in its current incarnation to operate at sea in the Western Pacific as the U.S. Navy has grown accustomed to? Will these prove too much for the current generation of American countermeasures? • While all the new weapons mentioned above present an abstract threat to U.S. naval forces in the sense that they seem extremely capable and represent the cutting edge of technology, are they now or will they ever exist in large enough numbers to present an actual threat to U.S. Navy operations? • In the event of a Chinese invasion of Taiwan, the Chinese wouldn’t necessarily need numerical superiority over the U.S. force assembled in response, but how much capability would they need to bring to the fight in order to accomplish the mission? Regardless of how much “quality” navy they bring, how much “quantity” does China need before the balance tips in their favor? 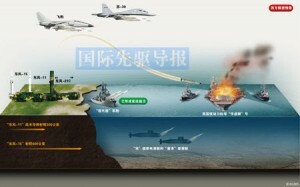 • While all this new technology might be highly capable, Can Chinese forces effectively use it to maximum effect? 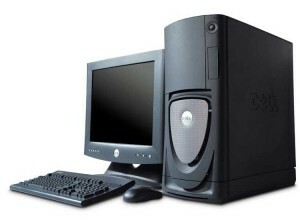 Can they maintain this equipment? Do they have the logistics and infrastructure to support fielding it in combat? • Are Chinese efforts towards cyber dominance integrated with their improvements in more conventional naval weapons and capabilities? 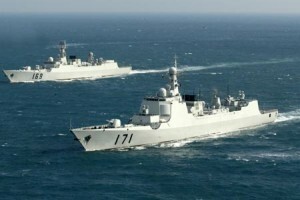 • Why are the Chinese pursuing a naval build-up? Is it driven by a bureaucratic impulse of the PLAN, a nationalist desire to be the regional hegemon, or the result of what China perceives as external security threats by the U.S. or other regional powers? • What would drive China towards attempting a military takeover of Taiwan? Have they figured out how they would actually fight with the navy they have built? • Does Chinese maritime strategy reflect the same principles as those of the U.S. Navy’s, in which maritime forces are important because they are the critical enablers for power projection across the globe, or do they simply represent an expansion of land power? There are many conflicting answers to these questions, pointing towards many different potential conclusions. There is no simple answer as to whether Chinese naval modernization represents a grave threat to U.S. interests or what that means to the U.S. Navy’s acquisition efforts. Regardless, the need for deep and sustained analysis of China is merited and should be a high priority. In the mean time, one should be wary of simplistic analysis using the latest splashy announcement of a new Chinese ship/plane/missile to justify a particular course of action, particularly when linked to future defense acquisition strategies (Build more ships! Build less ships! Shift focus to/from carriers/amphibs/fighter jets/subs/SOF/unmanned systems/cyber!) Chinese capabilities and intentions need to be understood in their totality before driving shifts in U.S. defense policy. Lieutenant Commander Mark Munson is a Naval Intelligence Officer and currently serves on the OPNAVstaff. He has previously served as at Naval Special Warfare Group FOUR, the Office of Naval Intelligence and onboard USS ESSEX (LHD 2). The views expressed are solely those of the author and do not reflect the official viewpoints or policies of the Department of Defense or the U.S. Government.